Each year, SydWest Multicultural Services assists thousands of people of all ages and cultures across greater Western Sydney through its Aged Care, Disability, Settlement, Family and Youth Services. By making a donation to SydWest Multicultural Services, you will be making a positive difference to the lives of individuals and families. 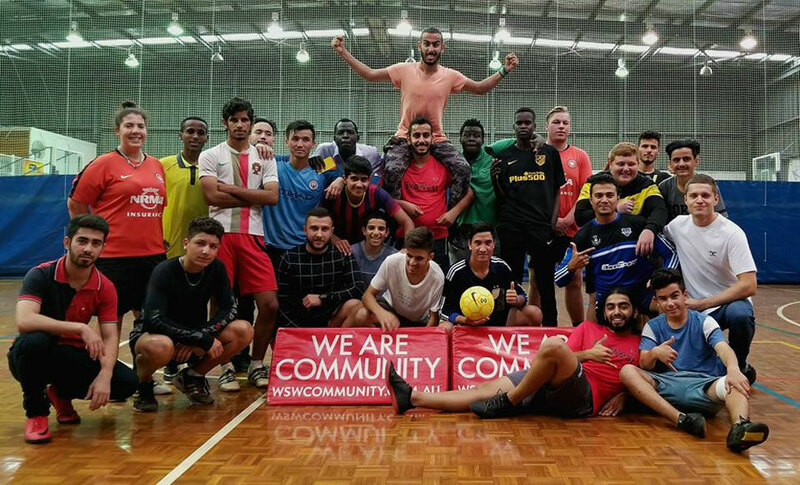 We need your help to continue to deliver the important programs and activities that help settle and connect people of all different cultures to become active members in their local community. "I am thankful to SydWest for being there for me and my children during difficult times at the early settlement period – I started from zero and now reach to hero Attending Multicultural Social Support Group in Blacktown has encouraged me to practice my English conversation skills at the shops and when I go to the doctor or the hospital. I now feel confident enough to use English whenever someone calls my number I can answer them over the phone. Without SydWest’s support and learning opportunities, I would not be able to do any English conversation." Our Youth programs are designed to positively engage young people from non-English speaking backgrounds – many of whom have arrived here as refugees and humanitarian entrants from war-torn countries. At SydWest Multicultural Services, we are helping to ease this stress by engaging and connecting these young people through sports, arts, education and resilience-building programs, as well homework help, swimming programs and holiday activities. By making a donation, you will be making a significant difference to the lives of new young Australians. "At the beginning, I felt like a stranger. No friends. No language. When I started school, I didn’t understand anything. My teacher gave me 10 words each day and I went home, translated them in Arabic, and understood them. I really wanted to learn. SydWest helped me with my homework. My caseworker encouraged me and explained the subject in very simple way. She speaks my language and makes things easier for me. I got good confidence in myself that I will do good in my exams and I did. I got 75%." Isolation and loneliness are common issues facing many seniors in today’s society, especially when they have little or no English. Our Seniors and Carers support services are designed to help connect our multicultural seniors community and build their sense of community, with regular outings, information sessions, group activities and special programs giving them important health, physical, psychological and social engagement. By making a donation, you will be helping us to deliver programs that enrich the lives of our ageing community – helping seniors to remain active and independent members of the community for as long as possible. "We are very thankful for the support of SydWest and so happy with the services – we are now more confident every day, knowing that SydWest is caring for us – we count on and rely on SydWest. They saved my husband from an early grave. Our main goal was to live an independent life in our own home – and with SydWest, this has been achieved!" SydWest Multicultural Services is a public benevolent organisation. All public donations will enhance our programs that focus specifically on people most in need during initial periods of settlement as humanitarian entrants, people with disabilities, seniors, youth and children. Donations of $2.00 or more are gratefully received and fully tax deductible. We support and empower parents who are expecting a baby and families with children up to eight years of age who live in the Blacktown and Hills local government areas. Our Playgroups are opportunity for parents to engage with their kids in a range of fun and educational activities. Our Mothers Support Groups connect women and provide them vital learning opportunities. By making a donation, you will help us to provide additional parenting skills education and fun and engaging learning activities for parents and their children. "I started coming to the Mothers Support group shortly after I moved to Australia. I have learnt about different services, about Australian culture and expectations from this group. I have made supportive friends with the group. The group has helped me settle in Australia." We offer services and support to people living with a disability and their carers, to ensure they can maintain engaged and productive lives, including disability employment services. By making a donation, you will help us to provide programs and activities that enrich the lives of people with a disability and increase their active participation in their local communities.